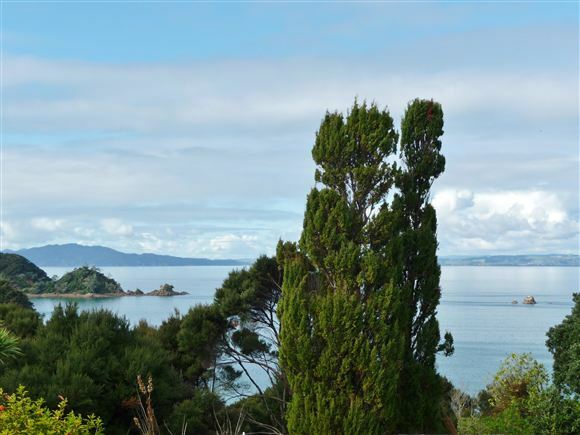 Three large double bedrooms (all with built in robes) feature in this family home with a stunning vista out to Doubtless Bay and set on a flat section near the end of a quiet cul de sac. High ceilings compliment the spaciousness of the home. The open plan living area offers views and access to the deck, backyard (lawn) and entertaining areas. A comfortable lounge with heat pump, central dining area and a kitchen with loads of cupboards. The bathroom has a shower, vanity and the 2nd toilet. A large garage workshop (single car) with room for a small boat, jet ski plus car and built in work bench. The Peninsular is also home for many beautiful bays & beaches, Carrington Golf Course, Restaurant & Winery.